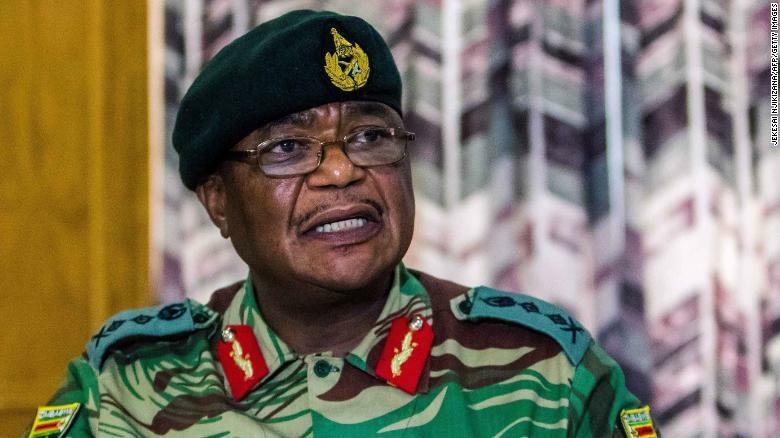 HARARE, Zimbabwe – Coup General Constantino Chiwenga of the rogue faction of the Zimbabwe Defense Forces (ZDF), has claimed today on television, that President Mugabe still remains president, and there is no warrant for his arrest. The following is a transcript of the statement made today. Firstly, we wish to assure the nation that His Excellency, The President, of the Republic of Zimbabwe, Head of State and Government and Commander in Chief of the Zimbabwe Defence Forces, Cde R.G Mugabe and his fa,ily are safe and sound and their security is guaranteed. We are only targeting criminals around him who are committing crimes that are causing social and economic suffering in the country in order to bring them to justice.